St Patrick is said to have built a church in a place called Ardachadh c. 454 and appointed Mel , the son of his sister Darerca, as the first Bishop. The first church here would have been built using timber. 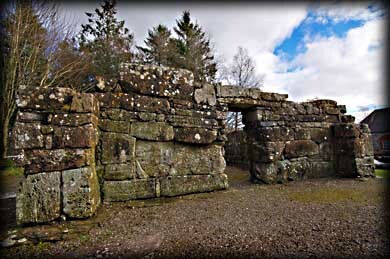 The present stone ruin was built during the 8th or 9th century. 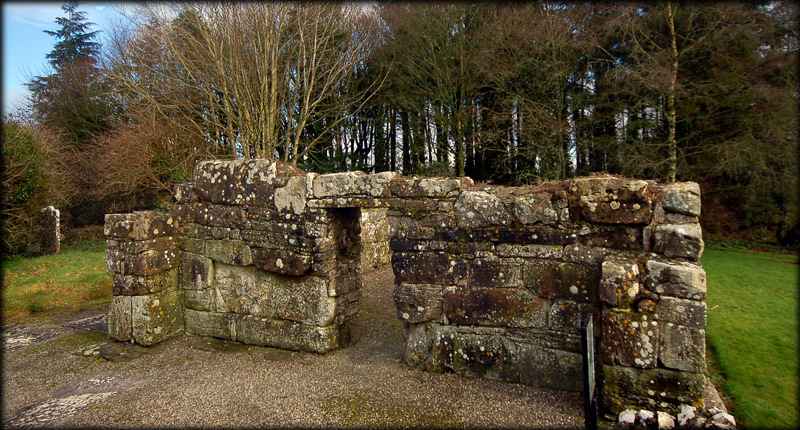 It is of a cyclopean nature and excavation showed it was built on the same site as the earlier timber church. The stones at the base of the east wall are amonst the largest I have seen in church construction. St Mel's crozier was found in the vicinity of the church during the 19th century. The church was destroyed by fire in the 15th century. This ancient site is well worth a visit. Situated: From Edgesworthstown take the N 55 (Ballymahon Road) south. Take the 2nd right. At the T-Junction turn right. The church is on your right as you enter the village. Discovery Map 41: N 2031 6864. Last visit Feb 2011.